Those were powerful words coming from such a young man. They were words that made me realize the position that I was in. At the very beginning of last summer, I received a phone call from my former coach. Knowing my passion for basketball, I got a job offer as junior varsity head coach at a local high school where my former coach was now coaching. I was honored to even be thought of as worthy for such a position. I had just turned 20. I felt so young and unprepared for the job, so I turned it down. I figured, it’d be too much on my plate since I had just been accepted into Long Beach State as a transfer student and was preparing for my first semester in the fall. Fast forward to this past summer, I felt this looming regret ever since I turned down that coaching job a year prior. I was now heading into my senior year of college at LBSU. I started to feel as if it was my last chance to pursue coaching. This would be the last year that I would have the extra time. So I gave my former coach a call and asked if there’s any room for me in the program. He was happy to hear that I was interested and offered me a spot as an assistant coach. I was still intimidated by the thought of a head coaching position, nor did I feel ready to take on that responsibility, so I gladly accepted his offer. The next week, before I even had my first practice with the team, I got a text, “Congrats, you just got a head coaching job.” Apparently, the original head coach who I was supposed to be the assistant to had stepped down and I was next in line. Instead of excitement or joy, I immediately felt pressure and nervousness. I couldn’t help but think to myself, “I’ve never coached before, sure I know the game, but I’ve never had to teach it or work with kids. I’ve never even had this sort of responsibility before.” For a position that I had been so excited about, I was now feeling extremely anxious. Next to my poor public speaking was my lack of intimidation. I always felt, even as a player, that coaches needed to be intimidating to gain the respect of a team. I never questioned whether my players would like me or not. I’m young, easy going and jokeful and players will always enjoy that type of person. My true concern was whether my players would be responsive or not to my coaching. 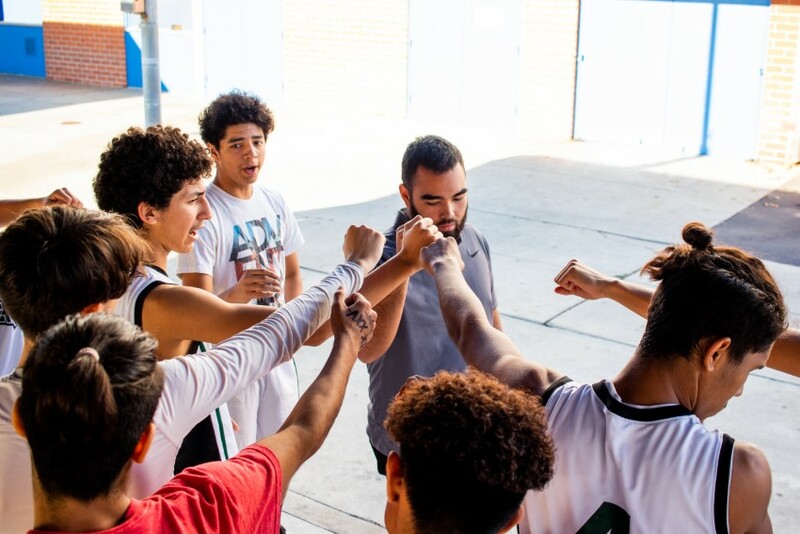 Along with building a connection with my players, I also needed to get a sense of the basketball side of coaching. I already had a good understanding of the game thanks to my coaches in the past. So this part of the process was all about combining what I learned from them, what I’ve learned through my own research and building my own identity as a coach. As the season began, it became a struggle to balance school and the team. Everyday we either had a game or practice and it became very stressful and draining. It became impossible to focus on homework after a bad game or practice and it was difficult to choose which I should prioritize or how to put effort into both. It soon became a struggle to balance the two, but it’s not like there was an option to choose one. I’ve just worked twice as hard. Now we’re approaching the middle of the season and I’m very proud what my team has accomplished thus far. I’m also satisfied with my development as a coach. I’m more comfortable than I thought I’d ever be and I look to only improve my abilities as a coach. This experience has been a roller coaster, but I’m extremely thankful for this opportunity. It’s been so rewarding to teach a game that I was once taught. I’m looking forward to seeing kids not only grow as basketball players, but as individuals and apply these lessons to their everyday life.